With your Chefman Express Air Fryer, you will get a tasty and healthy food on the table every day and even satisfy some of your late night cravings. Whatever you cook in this appliance, it ensures less fat and fewer calories. Your food is delicious, crispy, and with golden brown crust, and just as tasty as deep-fried. Being equipped with its unique Rapid Air Technology feature, this kitchen appliance grills, bakes, roasts, and fries with only little to no oil at all. It can also reheat your food as well as restore crunch to breaded items that have lost their texture. It is an ideal solution for quicker food preparations and healthier meals or snacks. From the simplest French fries or roasted chicken wings to baking muffins and mouthwatering hamburgers, you can witness the superiority, convenience, and effortless tasks of your Chefman Express ability to cook. Impress your family with amazing steel-cut oats with apples for breakfast, beef satay with peanut sauce for lunch, or roasted cod with sesame seeds for lunch. Treat your best friends with sweet chocolate lava cakes for dessert. You can use your assistant for all types of foods every day. It can replace virtually any cooking appliance in your kitchen. Our suggested air fryer cooking recipes below will definitely inspire you to prepare well-balanced and healthy meals for your family and friends. Preheat your air fryer to 390°C. While it is heating up, take a bowl and sift flour with baking powder, baking soda, nutmeg, anise star, cinnamon, sugar, salt, and cloves. Beat an egg with butter and milk until they are well combined in another bowl. Once ingredients are mixed, you can add them in the flour mixture and mix before adding in cherries. Place the mixture inside a muffin tin leaving a bit on the top for it to expand in heat. 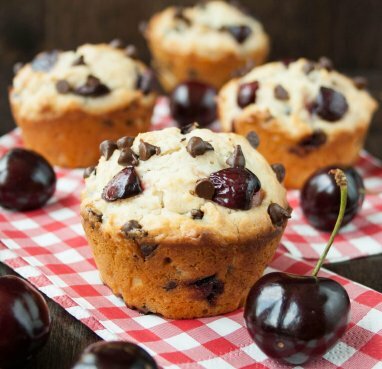 Put tin into your Chefman air fryer and let the muffins bake for about 15 minutes. Let your muffins cool down. Garnish with grated chocolate or a mint leaf when serving. 1. Scrub clean and peel potatoes. After that boil them in salted water for 35-40 minutes until they are soft to the touch. 2. When ready, place the potatoes in the fridge to allow cooling for half an hour. 3. Slice the cooled potatoes into quarters. 4. Combine and well mix black pepper, salt, paprika, and canola oil in a bowl. Throw quarter-cut potatoes into the mixture to coat the surface evenly. 5. Let your air fryer heat up to 400°C. 6. 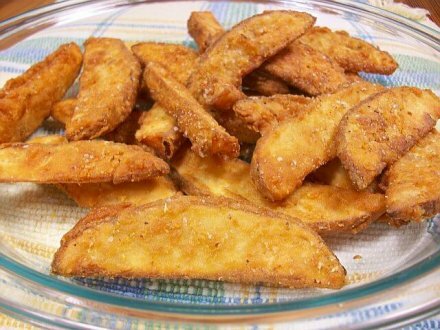 Put the potato wedges into the cooking basket with the skin side down and fry for 15 minutes until golden. Serve the dish on its own or season it with chopped fresh parsley.